Two major pregnancy reveals in two days! Just one day after Cardi B finally unveiled her baby bump on SNL, Kenya Moore announced she is also expecting her first child. 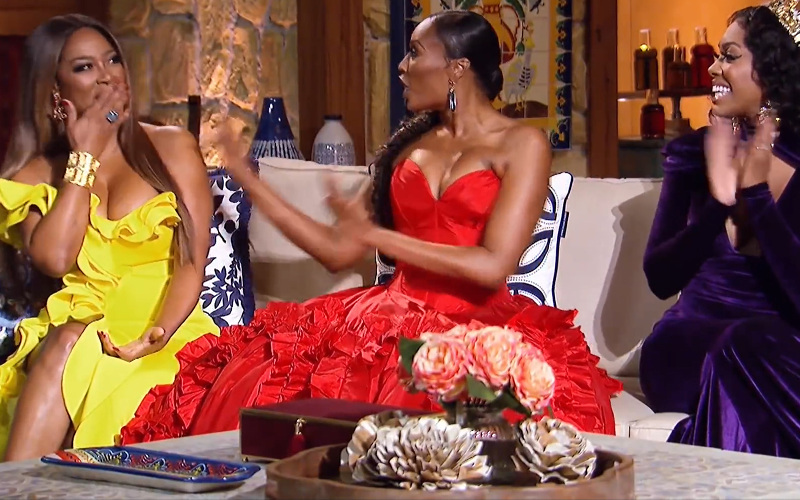 Within three minutes of part one of the Real Housewives of Atlanta season 10 reunion, Kenya, 47, made the happy announcement for the first time, shocking host Andy Cohen and her RHOA co-stars. “I want a healthy baby,” Kenya told Cohen, not wanting to reveal whether she’s having a boy or a girl. She also assured her co-stars that she wouldn’t joke about having a baby. Kenya later thanked the ladies for their support on Twitter and also responded to speculation that she’s hired a surrogate since she never explicitly stated that she was pregnant. Rumors of Kenya’s pregnancy have been rampant in recent months, especially following Love B. Scott’s exclusive report shortly after the reunion’s taping. Kenya announced her pregnancy 10 months after secretly marrying restaurateur Marc Daly in Saint Lucia. Fans know her longtime desire in starting a family and the couple was spotted at a renowned IVF clinic in Barbados last year. The baby news may have also saved Kenya her RHOA peach. Due to Kenya’s refusal to cooperate with producers and Daly’s reluctance to appear on the show (until the finale), it was heavily speculated producers would give her the pink slip at the conclusion of season 10. However, sources now say Kenya’s pregnancy and overall reunion show performance may be enough to keep her (and Daly) around… for now.